Painted floors create amazing results. Using simple wood floor paint, wood floor finishes, floor stain and a floor varnish; painting wood floors is relatively easy and inexpensive and turn your floors into a feature. If you have new floorboards you probably won't need to do a lot to make them look amazing, especially if you have good quality wood floors. If that's the case you only need to oil or seal them and let the natural grain come through. What if you paint them black? Here are ways of getting your painted floorboards right the first time! Its easy to make a your painted floorboards a feature when you use a good quality paint. is it durable and hardwearing. You want it to look great and last. 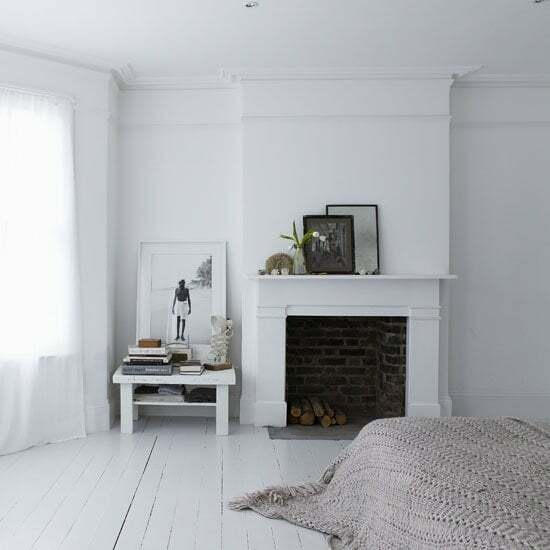 White painted floors have been popular for some time. They are a great for old boards and bring light and space into a room; but they can be difficult to get perfect, so don't stress if gaps or imperfections show up. That is part of the charm of old wood boards. 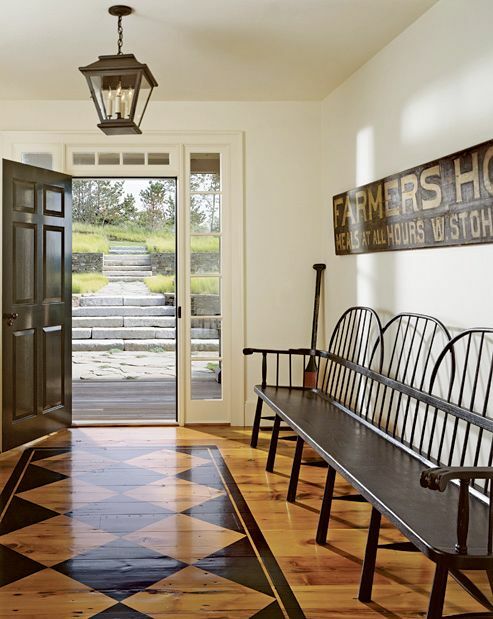 A porch paint, such as Valspar Paint, is fine for a rustic approach, but many porch or basement paints aren’t designed for timber flooring, even though they can give a sleek result when applied well. 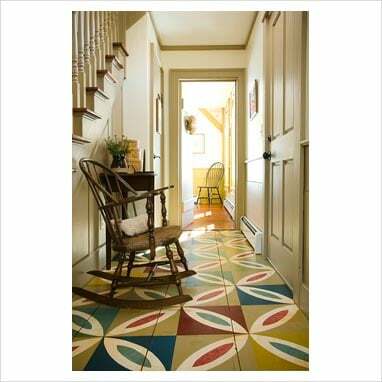 (More on how to paint concrete floor paints here). If you’re after a longer-lasting glossy finish, try a water based acrylic urethane that has been tinted white. If you’re working with existing floorboards, floor sanding is completely necessary to remove the existing finish and create a smooth surface to paint. Without this step, your floor may not absorb your stain, paint or wash you apply and show up uneven blemishes, holes or patchy stains. When painting, cover any space beneath doors with plastic to keep dust out and avoid spoiling your floors. Paint wood washing or liming floorboards - which produce a light feel. Wood washes create a soft, French provincial and Swedish style floors. The subtle colors highlight the grain of natural timber. Adding more color will make the surface look less transparent, so work out when you want to stop. Staining floors - light or deep, rich colors make them resemble other more expensive woods. 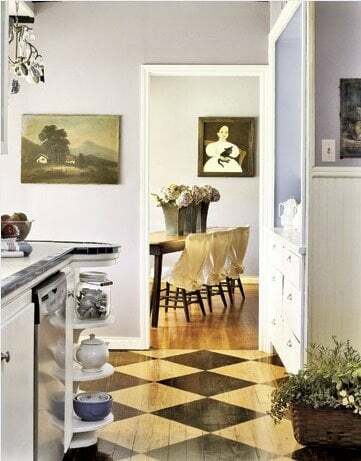 Go decorative; use different paints or paint washes and milk paints for a checkerboard effect. Classic black and white checkerboard always looks great; try pastel or muted grey and white paint tones to suit your decor. 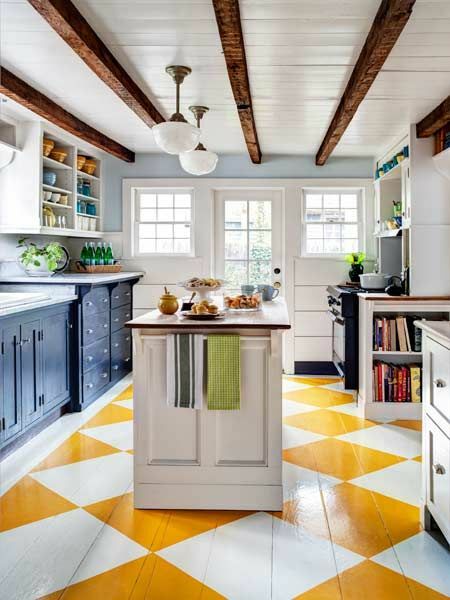 Milk paint floors are easy and look great. Here is a video showing you how this simple technique can change your home decor to wow! Painted floors wear better and longer when your paint is thin. Never apply thick paint to floorboards - its easy to do when you are in a hurry but it won't last. The reason thinly painted floors wear slower is because they dry harder. For long lasting durability use oil-based primers and paints for floorboards. You can also buy waterborne enamels, like Deft or Zar, or other specialty floor paints to protect your floor paints. If you prefer milk paint there is a great selection of milk paint available or you can make your own milk paint to get a particular look or want an extra decorating challenge. Make choosing a floor paint color easy by following these simple rules. Choose your paint color as if you were choosing carpet colors. Choose a paint color that goes with your home decor. If your home decor is classic or vintage choose a paint color that will compliment, not clash, with it. The painted floors below make a real statement. This hallway has little to compete with, so is prefect for this colonial hallway. 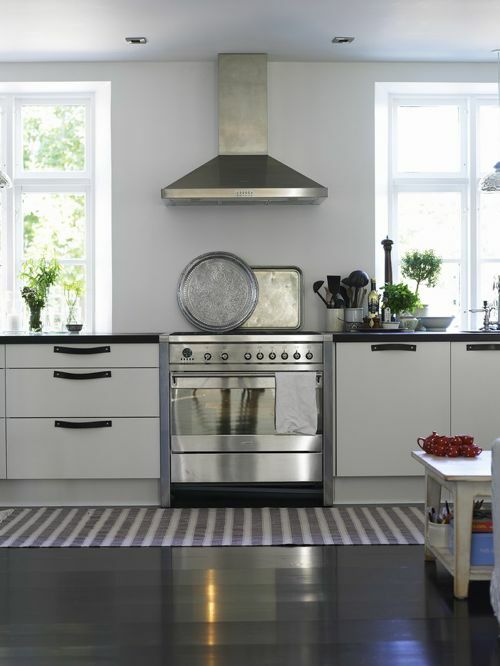 Dark colors show dirt, scuff and wear and tear more easily. 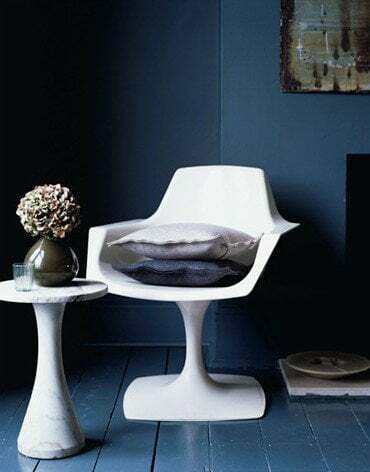 Dark colors also darken a room, absorbing light. Darker colors make rooms look smaller and heavier. Lighter colors make rooms feel bigger and brighter. White remains one of the most popular paint colors, because it ages well, goes with almost any home decor and there are so many shades of white from cool to warm colors to match any decor style. apply two more thin coats - allow each 24 hours to dry before applying the next coat of paint. You can walk on your floor within 24 hours but please, no high heels! For the best result, wait 28 days for maximum hardness before adding heavy furniture. Here is an article using floor stencils to get the most amazing looks. We recently purchased Alsace with painted white floors. They are full of scuffs and unattractive. If I were to lightly sand them is it possible to get a whitewashed look? Also if I were to reaping them would I have to sand them before I painted? Can you tell me if I need to protect my stairs after decorating. I have applied a primer , undercoat and x2 coats of gloss. As this area is a stair well can you advise how to protect against wear and ear please.